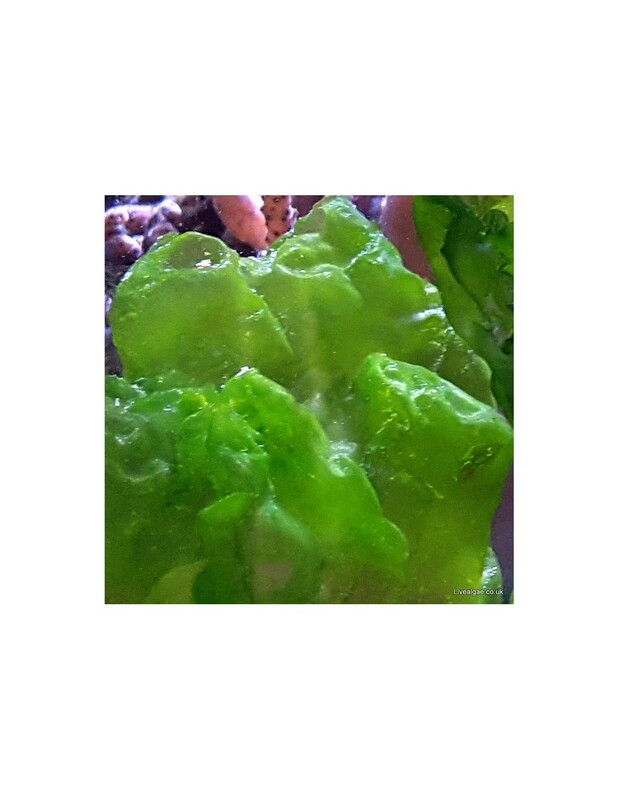 The Ulva Lactuca marine macroalgae species is a medium fast growing and very palatable species, therefore it is a great natural food source for the marine tank. With its vibrant green colours, it will be a beautiful highlight in the aquarium too. These macro algae like the light but is fine with medium strong light conditions too. Very palatable and a great natural source for your fishes etc. Our tang loves it, so keep some algae for example in the sump to let it grow back again. As it eventually will attach itself to rock after a long time, we recommend to start with to glue it on a piece of rock to keep it in position. It is very easy to trim by just removing the excessive algae. It forms smooth discs and grows in larger chunks, which can attach themselves to rock etc. Clear parts of it should be removed as they are decomposing. 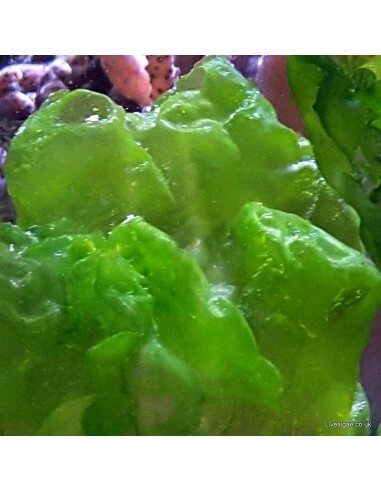 It is often known as Sea Lettuce and popular as a salad etc. But we sell these algae just to use in the marine aquarium! Can I keep any algae in quarantine Tank when using copper based solutions? Would there be problem if I can then moving to a sump or main reef tank as food for tangs? Thank you for your message and I am sorry for the delay, we had unfortunately a problem with our question module. I hope it still might help you. Although we never used copper as our algae tanks are fish free we received this question earlier and got feedback from our customers too. From what we know we would not recommend to use macro algae in a copper bases solution. At a very low concentration copper acts as a micro-nutrient, which supports some physiological activities of the algae, but in higher concentrations it can affect the algae growth and the photosynthesis, hence damaging some algae species. Customers who used it for a short time didn't experienced any problem with it though and explained the slower growth with a different used lighting. As always good service. The Algae is good quality, hope it grows as well as the last order of Algae (different type, for our seahorse tank). Will recomend to our fellow fish keepers. Within minutes my Tang eat all of it.